For an agency charged with advancing national and sometimes global standards of measurement and technology, the latest budget proposal raises eyebrows. The president’s budget request for fiscal 2020 would cut about $300 million from the National Institute of Standards and Technology (NIST) across most areas, including manufacturing, scientific measurements and facilities maintenance. The request calls for $686.6 million next budget year, compared to the $985.5 million enacted budget for fiscal 2019. It would eliminate the Hollings Manufacturing Extension Partnership, would cut the construction budget by about 43% and would reduce funding for advanced communications, networks and scientific data systems by nearly 41%. NIST measurement science laboratory programs would lose $26.9 million, or 12.3%, and advanced manufacturing would lose $30.4 million, or 20.1%. Funding boosts were proposed for two program areas: Cybersecurity and Privacy activities would get $1.2 million additional funds — 1.3% more — and the Manufacturing USA network of 14 institutes would have $200,000 more in 2020, or a 1.1% boost. 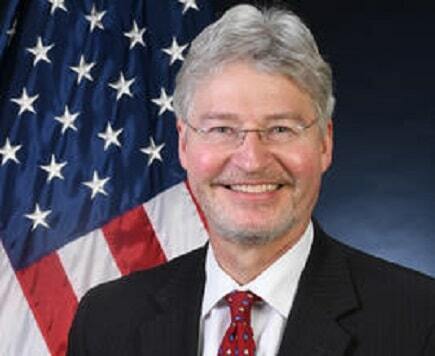 More than 400 NIST staff regularly participate in international standards-setting activities and during his testimony to the House Committee on Science, Space and Technology’s subcommittee on Research and Technology on Tuesday, agency Director Walter Copan said it was imperative the U.S. remain competitive. Democratic members shared their concerns that the cuts were too drastic to support NIST’s objectives, while Republicans on the subcommittee were quick to point out that the budget request is just that — a request — and expected the final numbers would be different. Subcommittee Chairwoman Haley Stevens (D-Mich.) called it troubling and said she saw a need for greater facilities funding, not less. The budget requests $59.9 million for construction of research facilities in FY 2020, a 43.5% drop from the $106 million enacted in FY 2019. If passed, the White House’s budget would mean any available funds would go to emergency needs only and NIST’s maintenance backlog would be unaddressed, the agency said. Meanwhile, the Boulder campus’ planned renovations would be paid for by the General Services Administration’s proposed Federal Capital Revolving Fund, to be repaid by NIST in $19.2 million of discretionary appropriations. Copan told Rep. Eddie Bernice Johnson (D-Texas) he did not know exactly what analysis or metrics the Trump administration used to give NIST its 2020 budget parameters. The White House has called US infrastructure and competitiveness priorities, Copan said, and he expected his agency would do what it could to meet legislative mandates and administrative goals. “The budget request for NIST is a significant reduction from our previous levels but we will certainly be as responsive as we can to make the most of the investments and the facilities,” he said. But Copan was more telling in his answers to Rep. Bill Foster (D-Ill.) whose district includes people employed by the Hollings Manufacturing Extension Partnership proposed for elimination in the 2020 budget. Such a move would cut $140 million from NIST and eliminate 81 federal positions, despite the fact that, as Copan said, the agency is pleased with their work. Foster asked Copan what message he thought that sent to current scientists and prospective hires.